ALNOTH, the bailiff at St. Werburh of Chester’s (3rd February) monastery at Weedon in Northamptonshire, St. Alnoth later lived as an anchorite at Stowe. He was martyred there by bandits circa 700. BALDOMERUS (GALMIER), a blacksmith and locksmith in Lyons. Late in life St. Baldomerus retired to the monastery of Saint-Just, where he received monastic tonsure and was ordained to the sub-diaconate. St. Baldomerus reposed circa 650. COMGAN, St. Comgan was an Abbot of Glenthsen or Killeshin in Ireland who reposed circa 565. Nothing further is known of this saint. HEREFRITH, a Bishop of Lindsey, St. Herefrith was most likely martyred by the Danes circa 869. It is entirely possible that he was the last Bishop of Lindsey before the Danes wintered at Torksey in 872–3, after which the episcopal succession ceased. His relics were amongst those translated by St. Ethelwold (1st August) to Thorney. There was a church of St. Herefrith at Louth mentioned in several records from the 13th–15th centuries. HONORINA (HONORINE), (Date Unknown) , one of the earliest Gaulish martyrs, with a cultus in Normandy which dates from the beginning of the Christian presence it that region. Unfortunately, her Acts have been lost and there is no further information about her extent. JOHN of GORZE, a brilliant student at the monastery of Saint-Mihiel in Metz, reputed to have an eidetic memory. Following his studies, he administered some landed estates, but soon made a pilgrimage to Rome, after which he spent some time at the Abbey of Monte Cassino. Returning to his native Lorraine in 933, St. John helped to restore, and then received monastic tonsure at, the Abbey of St. Gorgonius of Gorze (abbaye Saint-Gorgon de Gorze) in Gorze. He later spent two years as the ambassador of Emperor Otto I (r. 936–973) to the Emir and Caliph Abd ar-Rahman III (r. 912–961) in Cordoba. In 960 St. John became Abbot of Gorze and reposed circa 974. LEANDER, the elder brother of SS. Florentina (20th June), Fulgentius (16th January), and Isidore of Seville (4th April). Having received monastic tonsure at an early age, he devoted his life to prayer, and study. St. Leander developed a reputation for piety and learning and as a result was made Archbishop of Seville. 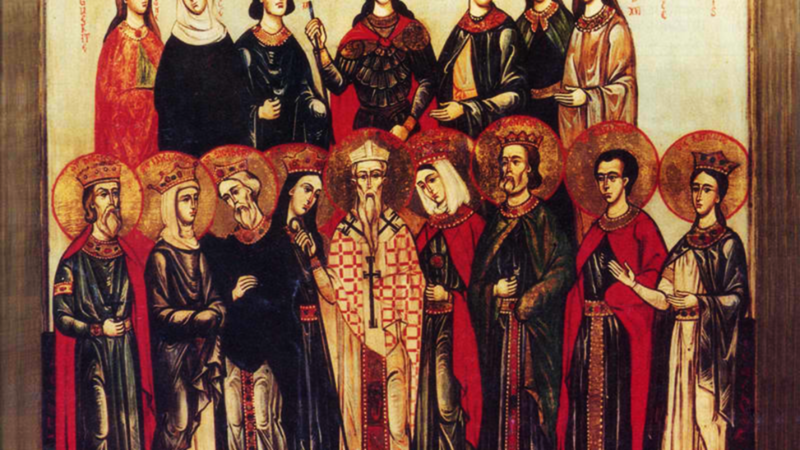 As Archbishop, St. Leander revised the Mozarabic Rite, introduced the Nicene Creed to the Mass, but most importantly converted the sons of the Arian Visigoth King Leovigild (r. 568–586), St. Hermengild (13th April) and Prince Reccared to orthodox Christianity, and ultimately brought the Visigoths back to orthodox Christianity as well. St. Leander reposed circa 600 and was succeeded by his brother, St. Isidore of Seville (4th April), as Archbishop.